Join us at Cottesloe Central as Santa arrives with a very special morning! 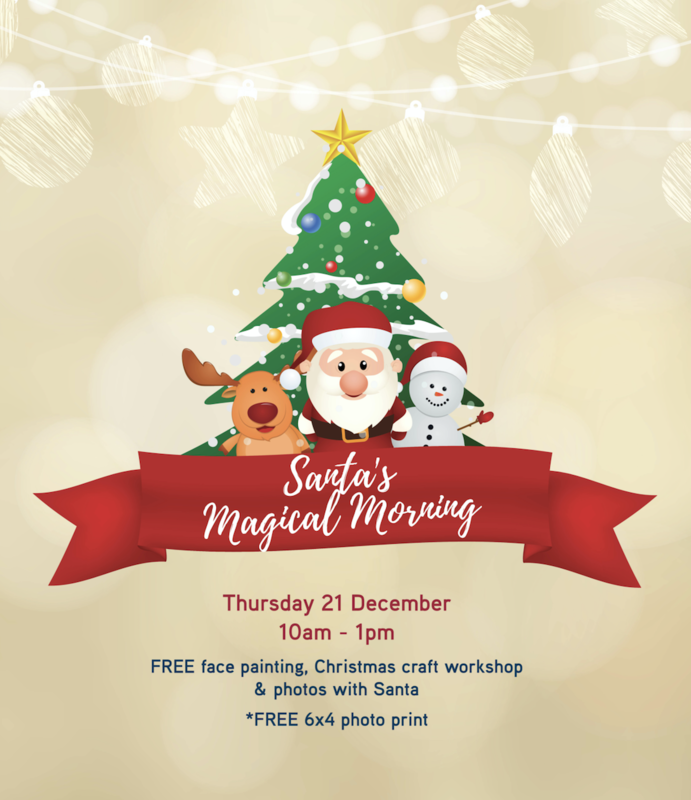 Santa’s Magical Morning will take place on Thursday, December 21st from 10am – 1pm. There will be FREE Face Painting, Christmas Craft Workshops and photos with Santa*!